John never questioned who his father was. All he had to do to verify the answer was to look in the mirror. Ever since he was a small boy, everyone had told him that he was the "spitting image" of his dad. After he was married and had children of his own, John came across a picture of his father as a young man and showed it to one of his sons. "Who do you think this is in the picture?" he asked. His son looked at the image in the photograph for a moment and then smiled suspiciously, wondering if John was trying to play some kind of a trick. "It's you, Dad," his son said. "Who was I supposed to think it was?" Sean's case is different. The fact that he resembles his parents physically is purely coincidental. Sean was adopted. Still, it isn't hard for him to call his adoptive parents "Mom" and "Dad." He has daily proof that they are his parents in the loving way that they care for him. And he also has it in writing. Sean's parents have the papers to prove their love for him. If someone were to suggest that a blood relationship might make a difference in their feelings for their son, they would be quick to point out that they became Sean's parents by choice. No one forced them to adopt him. Those who have placed their faith in Jesus Christ are more like Sean than John. They belong to God by adoption. Gal 4:5 tells us that God's purpose in sending Jesus Christ into the world was "that we might receive the full rights as sons." Rom 8:15 in the King James Version even refers to the Holy Spirit as "the Spirit of adoption." In Greek and Roman culture, adoption was initiated by the father—usually to provide himself with an heir—and was often accompanied by the making of a will. A similar practice existed in Hebrew culture, as is seen in Scripture. Abraham adopted his servant Eliezer of Damascus (Gen 15:2). Moses was adopted by Pharaoh's daughter (Ex 2:10). After her parents died, the Old Testament heroine Esther was adopted by her cousin Mordecai (Est 2:7). The most important example of this practice in the Old Testament, however, was God's choice to adopt the nation of Israel. In Rom 9:4, the apostle Paul includes "the adoption as sons" in his list of Israel's privileges. When God called Israel out of Egypt, He referred to the fledgling nation as "my firstborn son" (Ex 4:22-23). God also used the language of adoption when He entered into a covenant with David and promised to establish his throne forever (2 Sam 7:13-14). What was true on a national level for Israel has now become a personal reality for those who are in Jesus Christ. Through faith in Christ, we have been given the right to address God as Father. Because of this, an important part of the Holy Spirit's ministry is to provide us with the assurance that we are children of God. Rom 8:15 says that through the Holy Spirit, we find the confidence to address God as "Abba," an Aramaic term that is roughly equivalent to the term Daddy, or Poppa. According to the Talmud, "Abba" was one of the first words spoken by a child. It was used as a term of endearment, but only by family members. No slave or servant would have referred to the head of the house as "Abba." Adoption into God's family brings with it both reward and responsibility. As children of God, we have become heirs of God and co-heirs with Christ. As co-heirs with Jesus, we share in the inheritance that is coming to Christ, one that Christ Himself has guaranteed for us. But what exactly is it that we will share with Christ? We will share His life (Matt 19:29). By dying on the cross, Jesus Christ became the "source of eternal salvation" for us (Heb 5:9). Through the Holy Spirit, He makes that life available so that our daily actions reflect the fact that Christ is living through us (Gal 2:20). We will share His kingdom (Matt 25:34). Christ promised those who followed Him that they would also rule in His kingdom. Christ's work has made us qualified "to share in the inheritance of the saints in the kingdom of light" (Col 1:12). We will share in His glory. Because we have been given a new status as God's children, we have access to our heavenly Father and "rejoice in hope of the glory of God" (Rom 5:2). We will share in Christ's likeness. We know relatively little about what life will be like in Christ's presence, but we do know that we will bear a "family resemblance." In 1 John 3:2 we are told: "Dear friends, now we are children of God, and what we will be has not yet been made known. But we know that when he appears, we shall be like him, for we shall see him as he is. There are many benefits in being a child of God, but along with these blessings comes the responsibility of sharing in Christ's sufferings. Those who belong to Christ really cannot expect to be treated better than Christ was. If our lives reflect His to any degree, we will be an uncomfortable reminder of Christ to those who have turned their hearts from Him. Those who are moving toward Christ will move toward us, but those who are moving away from Him will turn away from us. But our motivation in bearing such suffering is that we will one day share in Christ's glory when we come into our full inheritance. It has been said that God has no natural children on earth, and that is true. All those who have the right to call God "Father" are children by adoption. Like Sean, they have objective proof of this fact. They have the papers to prove their status as sons because the record of their adoption has been preserved forever in the Scriptures. But they also have subjective proof of their right to call God their Father, because each day they have the inner assurance that comes from the Holy Spirit, who testifies with their own spirits that they are the children of God. Holy Spirit, speak to my heart the reassuring promise that God has accepted me as His own dear child. Work in my life so that I may reflect the image of the Christ who has become my brother. Grant me patience each day as I endure adversity for the sake of the Son, and help me to focus on the glory that is to come. Amen. John Koessler serves as chair and professor of pastoral studies at the Moody Bible Institute in Chicago, Illinois. He is married to Jane and has two sons, Drew and Jarred. John is the author of ten books and numerous articles. He also serves as a contributing editor for the Moody Bible Institute publication Today in the Word, where you can read his monthly “Theology Matters” column. You can contact John via email at John.Koessler@moody.edu or by phone at (312) 329-4077. Metaphor: Community of Peoples Concept: Community or Company renders a word meaning "assembly," "gathering," "grouping." The reference is to a large body of people who live in and have authority and rule over a certain geographic area. Gen 28:3- May God Almighty bless you and make you fruitful and increase your numbers until you become a community of peoples. The idea that is being unfolded here is God’s favor on His people Israel is to be of such magnitude that they expand beyond a large family and become literally a mighty nation with each family member’s offspring multiplying so much that they literally become a company or community of communities. The second part of this promise from God is that he will give them the Land we now know as Israel as an everlasting inheritance for this large population of people. There are three key points in these verses. 1. God promise is that His people will prosper and expand. 2. 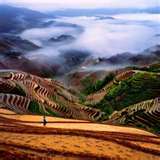 God has given the land within the Biblically defined borders to Hid people. 3. God’s promises are everlasting. We as the inheritors of God’s promises through Jesus the Messiah must realize that His promises to Israel are as good today as they were when they were given and that despite current political circumstances, He is still God and His promises will be fulfilled. If we cannot accept God’s promises to Israel how can we accept that His Word to us is to be trusted? 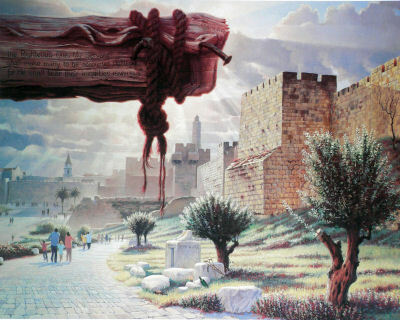 We are said to be branches that are grafted in to the natural Vine Israel. Jesus said He came to fulfill the law not do away with it. God desires to multiply those who call on His name as the One true God throughout the earth. We must comply with God’s plan to be fruitful and multiply. Taking possession of the territory God gives us must be a priority both spiritually and physically. If the people of God fail to keep His Word the enemy will steal, kill and destroy what God has given and desires to give us. Today ask God to reveal to you how to assert authority and occupy all of His promised territories in your life. This starts with the spiritual, then the soul realm of mind, will and emotions and finally our physical bodies and world. Being a good steward means to exercise the master’s will, rule, authority and ways in every area of our lives. If we are to be about our father’s business as Jesus was we must learn to grow in all that Jesus began to do and teach. Which means; we must demonstrate in daily life how to live a life that fulfills the teachings of all of scripture in every way. Concept: A Community of people made up of those who were born from Israel who was in the lineage of Abraham and a receiver of the promises of Abraham. By faith we who believe in Jesus as God’s Son and our promised Messiah also inherit the promises of God which are by faith; although we do not inherit the physical land of Israel we inherit the New Jerusalem along with all of those who are God’s children through Abraham’s seed. Ex 12:3-4 Tell the whole community of Israel that on the tenth day of this month each man is to take a lamb for his family, one for each household. Ex 12:6 Take care of them until the fourteenth day of the month, when all the people of the community of Israel must slaughter them at twilight. Ex 12:19-20 For seven days no yeast is to be found in your houses. And whoever eats anything with yeast in it must be cut off from the community of Israel, whether he is an alien or native-born. 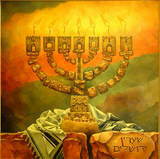 Ex 12:47 The whole community of Israel must celebrate it. Ex 16:1-3 The whole Israelite community set out from Elim and came to the Desert of Sin, which is between Elim and Sinai, on the fifteenth day of the second month after they had come out of Egypt. 2 In the desert the whole community grumbled against Moses and Aaron. Ex 16:9-10 Then Moses told Aaron, "Say to the entire Israelite community, 'Come before the LORD, for he has heard your grumbling.'" Lev 4:13-14 “'If the whole Israelite community sins unintentionally and does what is forbidden in any of the LORD’s commands, even though the community is unaware of the matter, they are guilty. Lev 16:5 From the Israelite community he is to take two male goats for a sin offering and a ram for a burnt offering. This community of promise and faith should be an encouragement to us. We see Jacob born of promise, who plots and schemes to get what he believes he should have, only to receive it all because of God’s will, which if he had trusted God would have received it without so much struggle and fear. Today we can rejoice that God has a future filled with hope and not destruction for us who love Him according to Jeremiah 29:11. We must focus all our efforts and skill on serving and pleasing God, as we do, our relationship with Him will empower us to fulfill all that He has planned for us since the beginning of time. Concept: Not only are we chosen, selected and elected as individual but God has a people, a household, and a community of people who receive His inheritance. This selection is based on faith in God and was witnessed in Abraham and the results were God’s promises to Abraham and his descended from him. The reality that we are part of a community of faith chosen by God should cause us to have a healthy understanding of the importance God places on relationships within the community of the household of faith. We are not on this journey alone. The well being of all of those who follow Jesus needs to be a part of our walk with God. Today, as you walk with Jesus ask Him to make you more aware of what it means to be a part of the household of those who serve God and love Jesus with all of their hearts. His Chosen People. God Calls you the Chosen Ones. Concept: Selected, elected, preferred, considered special by God. The idea of selection and election by God has been which has filled books and theological discussion for hundreds of years. One group proclaiming the Sovereignty of God and the other the Free will of mankind. The two sides represented by John Calvin (God’s Sovereignty) and Jacobus Arminius (Man’s Free Will). Scripture however brings clarity to the issue in Romans 8:28-30. In this passage we see that the good in 28 is becoming like the son in 29. We also see that our election or for-ordination is based on God‘s for-knowledge or awareness before hand of our choice to serve Him. Rom 8:28-30 We are assured and know that [God being a partner in their labor] all things work together and are [fitting into a plan] for good to and for those who love God and are called according to [His] design and purpose. Today, meditate on the fact that God chose you, that you are one of the elect of God. How marvelous and wonderful it is that God who knows the end from the beginning knows you as one that He has chosen. Concept: One of the most beautiful and intimate pictures of those God calls His children is that of a groom and His bride. 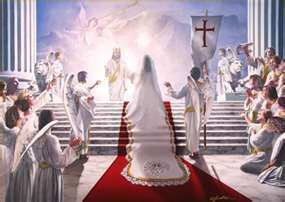 The bride of Jesus the Messiah is to be without spot or wrinkle. One who is pure and her heart and life belongs to no one else. She is made clean by the blood of the Lamb, who died for her and who empowers her by His Spirit to live a life of faithfulness to Him. The bride sacrifices her desires for those of her groom and this sacrifice is a continual act of love and dedication. Today, rejoice in and seek to live in such a way that you as the Bride of Christ are pleasing to Him. Delight yourself in Him and seek to please Him in all your ways. Concept: The holy ones, called by God, spotless, without blemish by the blood of the lamb. 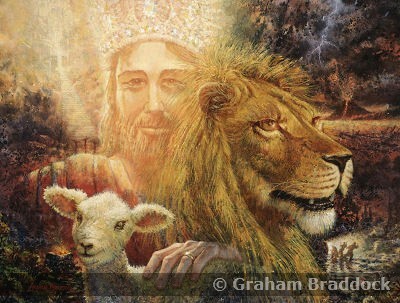 This is the ones whose company the Lord keeps, the Lord of Host, the King of kings, the God above all gods. Ps 149:1, PRAISE THE Lord! Sing to the Lord a new song, praise Him in the assembly of His saints! Throughout our lives we want to chosen by the right friends, schools, and sport team and later on by the right person who will be our spouse. What an amazing thing it is to be counted among the Assembly of the Saints, or Holy ones of god. Talk about something to rejoice about, this is it! Today, remember you are a part of an elite group made spotless, sin free and washed white by the blood and testimony of Jesus the Messiah. So sing to the Lord a new song, praise His holy name! Those Who Have Been Brought from Death to Life. In the 1970s a popular bumper sticker read: "Today is the first day of the rest of your life." For people like Ray, this is literally true. Seriously ill with cancer a few years ago, some thought that he might die. Now healthy, each sunrise is an unexpected gift to Ray. "It is amazing how your perspective changes when you are dying," he explains. "You begin to appreciate the smallest effort." Recently, a young woman who feared that she might also have cancer made a similar observation to me: "I used to like to shop for antiques. Now I think, "What if you are dying? Isn't there something better you could be doing with your time? This is just someone else's junk.'" The approach of death often changes the way we view our actions. The things that seemed so pressing before are now easily shelved. The objectives that appeared so worthwhile a short time earlier now look trivial and foolish. This change of perspective is what some of the older writers meant when they spoke of the ability to "die well." Jeremy Taylor, the seventeenth century Anglican bishop who wrote the classic work Holy Dying, noted that God is remarkably frugal with time: "He has scattered the sky with stars like a gardener scattering grass seed over a lawn. He has made an incredible variety of animals. He has provided us a wide choice of food and drink, even though a very few would have kept us alive. Yet God parcels out time carefully, drop by drop. When we suddenly realize that we have reached the limit of the moments apportioned to us by God as our share of this life, every deed becomes precious. The seconds, once carelessly squandered, now come under close scrutiny. The value of each one is carefully weighed in the balance, like the miser trying to extract the last few motes of gold dust from the bottom of his bag. In this verse, the apostle Paul asks for a similar transformation of our perspective, but for a very different reason. We are to evaluate every thought, word, and action, not because we stand at the end of life, but because we are poised like runners at the beginning. "Offer yourselves to God," he urges, "as those who have been brought from death to life." 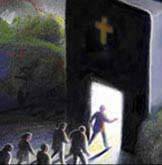 Sadly, there are many Christians today who are ready to die but unprepared to live. They know only that Jesus Christ has assured them a place in heaven. But what they don't realize is that this heavenly reality also has earthly implications. The Bible tells us that those who have trusted in Christ have died with Christ. As Paul puts it, they are "dead to sin, but alive to God in Christ Jesus" (Rom 6:11). They have been given far more than "a new lease on life." Through the power of the Holy Spirit, they have a new life principle at work in them. As a result, they no longer have to let sin reign in their lives. In effect, Paul says that once we are in Christ we are no longer compelled to allow the sin principle to function like a king in our lives. Very few kings hold absolute power today, but in biblical culture, the king's word was to be obeyed. Prior to my coming to faith in Christ, sin functioned similarly. Sin was the ruler and I was its servant. I did not always like its directives, but there was little that I could do about them. Sin is a cruel monarch and knows nothing about moderation in its treatment of those who serve it. When sin reigns, it reigns to the point of death (Rom 5:21). The apostle's point is that through the cross we have shifted our allegiance to a new master. When we come to Christ, we are to offer ourselves as servants to God and the parts of our body as instruments of righteousness. There is an important order in this command. Before we offer the parts of our body in service, we must first offer ourselves to God "as those who have been brought from death to life." It has been said that some of the slaves who were freed from slavery after the Civil War continued to live with their old masters and serve them. They did so because they knew of no other way of life. The same can be true in the spiritual realm. We must know what we are in Christ before we can know what to do for Christ. I can not offer my body in service to God if I do not understand that I have been given a new ability to do so. The Greek word that is translated "instrument" literally means "tools." When we place ourselves at God's disposal, we become tools of righteousness. Otherwise, we are tools of sin and death. Interestingly, this same word can also be translated "weapon." In God's hands, we become weapons of righteousness. But we can also become weapons of sin. Once, while helping a former missionary clean out his basement, I came across an old spear. I was impressed by its smooth lines and deadly point. As I hefted it, I felt its balance and imagined how it must have been used in the hands of its original maker. Perhaps it was used to supply meat for the tribe or to defend against its enemies. In the hands of the wicked, it might even have been used for evil purposes. But there in the basement it served neither purpose, existing only as a curious artifact in an alien culture. This can never be true of those who are in Christ. Like it or not, we are either the instruments of God or instruments of sin. If we are not placing ourselves in the hand of our Redeemer as weapons of righteousness, then we are weapons of death. Ray's brush with death fundamentally changed the way he looked at the remainder of his life. At times, it made him impatient for that life to be over. When I mentioned to him that there were times when, even as a Christian, I struggled with the fear of death, he chuckled and said: "I have the opposite problem." "I have been to the edge of the abyss and seen what's on the other side," he explained, smiling. "Sometimes I can't wait to die." I was surprised that Ray would say that. He certainly did not live like someone who was waiting to die. It seemed to me that he utilized every minute for the kingdom, placing himself at Christ's disposal. But, like the apostle Paul, my friend was caught between two longings. Drawn by the desire to depart and be with Christ, which is far better, but eager to be used by God while he remained in this world (Phil 1:23). Would the apostle Paul agree with the old writers who said that it was more important to know how to die well? I don't think so. I believe that he would say that as important as it is to know how to die, it is even more important to know how to live. Especially for those who have been brought "from death to life." Risen Christ, I thank You for giving me new life by Your death and resurrection. Show me how to use the moments You have apportioned to me, so that each one will contribute to Your glory. Amen. Concept: Only those who are righteous by faith in God will be counted among those whom God counts as His righteous ones. Those who have faith that God is just and pure and who believe He is who he says He is and who understand that they in themselves can never be righteous without His Grace and unmerited favor will be counted among those in whom God is pleased and whom He entrust Himself to. Matthew 7:21-23 makes it clear that Jesus Himself rejects even those who do miracles in His name if they do not do the will of the Father in heaven. The will of the father is seen clearly in Galatians 3:6-7, where it is Abraham’s belief in God which allows Him to be called righteous. Today let us remember and it is by His grace through faith that we are counted righteous by God. Concept: The people of God implement and bring about the will of God through His weapons which are spiritual not carnal. The Assembly of God’s people are no mere community of people whose only agreement is belief in Jesus Christ but we are called as a force or army of God. We are to be a united force which has the heart of God, the Mind of Christ and is Empower by God’s Holy Spirit to accomplish God’s will upon the earth. We are unlike the armies of man in that we win not by might or by power but by the Spirit of the Lord of all creation. Concept: The dwelling place of the Lord is reserves for those written in the lamb’s book of life and there is no place for the impure, shameful or deceitful. Those who have committed themselves to God according to His mysterious and previously hidden plan through Jesus the messiah are a part of and therefore dwell in and a part of His assembly are made righteous and pure by His grace. We are seeking God's provision to expand the Impact of Abba's Glory. In August we want to offer our Free Bible Institute to more people. So Please Go to the web site www.abbasglory.com/ Then click on the Empower the Vision tab. If you give even the smallest amount it will help us test our new online giving and prime the pump for our upcoming Pray and Plant Event. You may give as little as 25 cents. Thank you! God bless! God’s Law and all of its revelation is Our Possession. Concept: God’s laws, Precepts, teaching are the possession of His people, both as a community of faith and as individual members and recipients of the Inheritance of the Lord. Today remember God’s Word and all its revelation belongs to those who call upon his name, The’ I am that I am’ of Moses, the Word become flesh, Jesus Christ. This is number 2 in our Metaphors and namesfor God's peopl series. There are over 100 of these in the Bible, so over the next 100+ days we will send out a new one to you. Concept: God Speaks to His People as a Community or Assembly, We are not alone in hearing the goodness of God, but it is for all of God's people. Gladstone was surprised to see the very same portrait hanging on the wall. "Do you like it?" the merchant asked. "It's a portrait of one of my ancestors, a minister at the Court of Queen Elizabeth." "Three pounds less," Gladstone replied, "and he would have been my ancestor." Gladstone's witty response to his guest points out a very simple fact: We can't choose our ancestors. No matter how wealthy or influential we are, we can't change our family background. But if you could select your own ancestors, would you choose Abraham? Born in Mesopotamia, Abraham moved from the city of Ur to Haran, a town about fifty miles east of Carchemish. This, however, was only the first stop on a lifelong journey that would make Abraham the Bible's prototypical pilgrim. While still living in Ur, Abraham heard God's call to leave all that was familiar—his homeland and his countrymen—and go to a land that God would show him. Abraham had no map. He had no travel brochures. There were no airports or automobiles to speed the journey. But Abraham obeyed God's command, and at the age of seventy-five, Abraham set out with his wife, servants, and even his nephew Lot, counting on God's promise to make him into a great nation (Gen 12:1-3). Although God had promised to give Abraham the land to which he was traveling, he lived there like a stranger in a foreign country, leading the life of a Bedouin tribesman (Heb 11:9). Abraham became a wealthy man during his travels but lacked the one thing that he desired the most. "O Sovereign Lord," he complained, "what can you give me since I remain childless and the one who will inherit my estate is Eliezer of Damascus?" (Gen 15:2). The Lord then appeared to Abraham in a vision and promised to give him more descendants than could be counted. And the Bible says that Abraham, ". . . believed the Lord, and he credited it to him as righteousness" (Gen 15:6). By the time Abraham was in his nineties, his wife, Sarah, still had not given birth to any children. Her womb was barren, and Abraham was "as good as dead" (Heb 11:11-12). When Abraham had reached the age of ninety-nine, the Lord reaffirmed His promise, and Sarah, who could only laugh in disbelief, became pregnant a short time later. When Sarah gave birth to her first son, they named him Isaac, which meant "laughter." Abraham's dream had come true, but the test of his faith was only beginning. Some time after Isaac was born, the Lord came to Abraham again with an incredible request: "Take your son, your only son Isaac, whom you love, and go to the region of Moriah. Sacrifice him there as a burnt offering on one of the mountains I will tell you about" (Gen 22:2). Abraham once again found himself traveling to an unknown location. This time, however, it was not to receive his inheritance, but to sacrifice it on an altar. There is no record of any discussion over the matter. 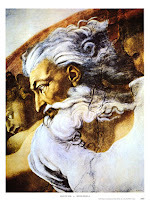 God did not explain His purpose and Abraham did not argue with the command. 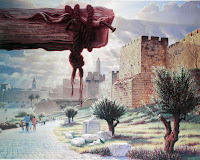 He took the wood for the burnt offering, a knife, and the son he loved more than his own life. He bundled the wood on his son's back, and the two started up the mountain. In childlike simplicity, Isaac asked his father about what was to take place: "The fire and wood are here, but where is the lamb for the burnt offering?" Abraham's reply reflected a similar trust. "God himself will provide the lamb," he explained. Did Abraham know that God never intended to allow him to carry out the sacrifice? Probably not. He knew only that God had promised to raise up a line of descendants through his son: "Abraham reasoned that God could raise the dead, and figuratively speaking, he did receive Isaac back from death" (Heb 11:19). As Abraham lifted the knife to carry out the awful command, God spoke from heaven. The old man choked back a cry of relief, as the knife fell from his shaking hand. "Here I am," he gasped. "Do not lay a hand on the boy," God said. "Do not do anything to him. Now I know that you fear God, because you have not withheld from me your son, your only son." Blinking back the tears, Abraham saw a ram caught by its horns in a nearby thicket. It was the ram, chosen and provided by God, that died in Isaac's place that day. It was not Abraham's actions that set him apart from others of his day, but his faith. His remarkable behavior was merely a reflection of his confidence that God would follow through on what He had promised. It is true Abraham had his moments of doubt. There were occasions when he tried to take matters into his own hands and accomplish by his own power what God alone could do. But each time, he learned his lesson. The general tenor of Abraham's life was one of faith, and he was accepted by God because he believed. The same must be true of us. The promise of forgiveness in Christ comes only by faith. Those who accept God's offer follow in the path of their pilgrim father Abraham. They become his descendants, heirs to the title "friend of God," and brothers with Christ. All are descendants in faith of a heritage that cannot be purchased at any price, but must be received as a gift. God of Abraham, thank You for the example of Your servant Abraham. I pray that I might be as firm in my belief and as quick in my obedience as he was. By grace and through faith in Your Son, I name You as my friend. Amen. from Names of the Believers © 1997 by John M. Koessler. All rights reserved. Mark Twain made this observation about his experience of learning to become a river boat pilot in his book Life on the Mississippi: "Two things seemed pretty apparent to me. One was, that in order to be a pilot a man has got to learn more than any one man ought to be allowed to know; and the other was, that he must learn it all over again in a different way every twenty-four hours." Jesus' followers would probably have said something very similar to that. They were known as "disciples," a term that literally meant "learners." The rabbis of Jesus' day attracted followers who placed themselves under the authority of their teachers. One who became a disciple made a personal commitment to the rabbi he followed. These disciples studied the rabbi's teaching, compared it with the teaching of the Torah, and eventually passed it on to others who became their disciples. Jesus' method of discipleship followed a similar pattern. His disciples lived with Him and memorized His instruction. They traveled with Him from place to place and passed down what they had learned to others (2 Thess 3:6). Yet in many ways, Jesus' approach was radically different from His contemporaries. While the rabbis accepted only the most promising students, many of Jesus' disciples would hardly have seemed like worthwhile candidates. For example, unlike the religious teachers of His day, Jesus welcomed women as His disciples and allowed them to learn at His feet along with the men (Luke 10:38-42). Another distinctive of Jesus' methodology was His hands-on approach to training. Instead of merely passing down the tradition of the teachers who went before Him, Jesus gave His disciples a fresh perspective on the truth of God's Word and coupled His teaching with practical opportunities to implement what He taught. Failure was part of the disciples' training! Jesus often assigned them tasks, knowing in advance that they would not always be successful in their attempt to complete them. He used their mistakes to teach them important lessons. The most obvious example of this was the apostle Peter's denial of Christ. 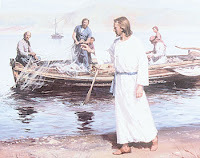 Jesus predicted that Peter would deny Him three times and then urged: ". . . when you have turned back, strengthen your brothers" (Luke 22:32). The events described in Acts 6:1-6 show that this learning process continued even after Christ ascended into heaven. It didn't take long for the newly formed church to encounter its first internal conflict. As its numbers increased, the cultural differences between those who had adopted the language and customs of Greek culture and others who held on to the language and customs of Hebrew culture became more apparent. They were looked down upon by those who considered such practices a form of religious compromise. The fact that these more-conservative believers spoke only Aramaic created an additional barrier. And soon the Greek-speaking Christians came to the apostles complaining that the needs of their widows were being overlooked. This should encourage us for several reasons. First, it shows that these same believers who were able to have such a profound impact on their own generation faced problems similar to those that we struggle with today. Like today's believers often do, they misunderstood one another and had interpersonal conflicts. And if Christ was able to use them despite their weaknesses, He can do the same with us. Secondly, the disciples offer a helpful reminder that conflict is a normal part of the church's growth and development. Numerical growth created obstacles on several fronts for the early church. It created logistical problems as the number of people with needs grew beyond the limits of the church's organizational structure. It also created interpersonal conflicts when new members did not automatically bond with those who were already part of the church. In fact, the believers at Jerusalem seem to have divided themselves into distinct "cliques" that fell along ethnic lines. Numerical growth, like physical growth, is always accompanied by growing pains. New members must be assimilated and old organizational structures must be modified. The church's dreams and plans must undergo a subtle change as newcomers add their input. Sadly, many churches respond to this traumatic experience by sabotaging their own growth. Like the Jerusalem church, they "stick to their own" and refuse to make a place for new attenders. They may hold on to the reigns of power and not allow newcomers to exercise significant influence in the church's decision-making process. The apostles' response to this first crisis enables us to see where their priorities lay. Peter explained, "It would not be right for us to neglect the ministry of the word of God in order to wait on tables" (Acts 6:2). Although Peter's words may give the impression that he regarded this as a trivial problem, his solution shows that he was well aware of its critical nature. So he asked the church to choose seven responsible people to oversee its ministry to those widows who were being neglected. It is not surprising that all the names of those who were selected are Greek in origin, since the complaint originally arose among the church's Greek-speaking believers. A split along ethnic lines this early in the church's development would have left it hopelessly fragmented. What is more, it would have greatly hindered the church's eventual outreach to the Gentiles. It is very possible that one of God's purposes in allowing the church to endure this conflict was to help it prepare for the eventual inclusion of the Gentiles. In fact, one of the seven who was chosen was Nicolas, a convert from Antioch, the place where the gospel was first preached to the Gentiles (Acts 11:19-20). When the disciples confronted the apostles with the problem, Peter resisted the temptation to "micro-manage" the situation. Instead of attempting to resolve it personally, he wisely delegated this important ministry to others. This left the apostles free to devote themselves to prayer and the ministry of the Word. The qualifications listed by Peter for those to be selected were spiritual in nature. They were to be believers whose lives showed evidence of being "full of the Spirit." The apostles were not looking primarily for administrators so much as for disciples. This stands in stark contrast to the approach taken by many churches today. Too often, church offices are filled by candidates who have been selected on the basis of popularity, financial success, or political clout. The choice of the seven reveals to us that spirituality ought to be a factor, even in those ministries that do not seem to be overtly spiritual in nature. What happened as a result of these changes? According to Acts 6:7, ". . . the word of God spread. The number of disciples in Jerusalem increased rapidly, and a large number of priests became obedient to the faith." Because its members continued to be learners, the early church was able to handle its growth successfully. Its secret was to remain focused on God's Word, dedicated to prayer, and sensitive to the leading of the Holy Spirit in their decisions and appointments to service. They weren't perfect; they were just disciples. Holy Spirit, help us to be sensitive to Your leading as we fulfill our own ministries and appoint leaders in our churches. Place within us the heart of a learner, a heart that is willing to grow and adapt in each new situation. Amen.